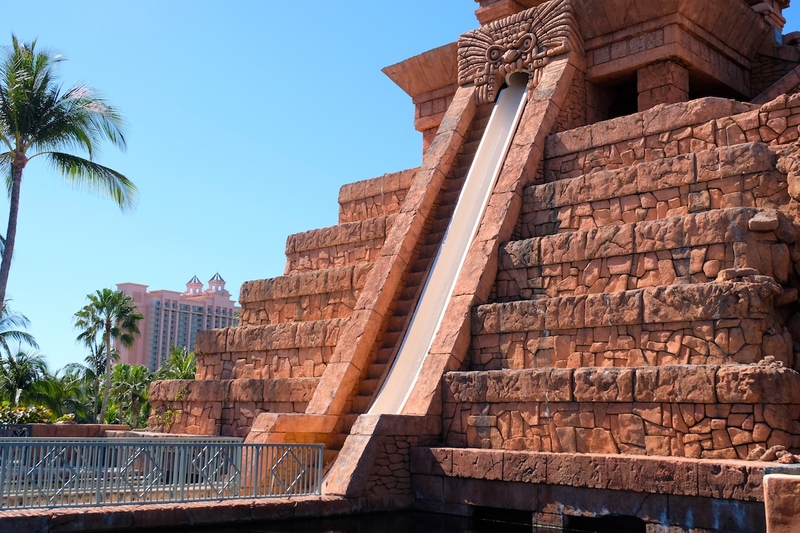 The Day Pass excursion offered by Atlantis Paradise Island gives guests a chance to experience their massive Aquaventure water park for a whole day, as you get full access to all the resort’s facilities and attractions. 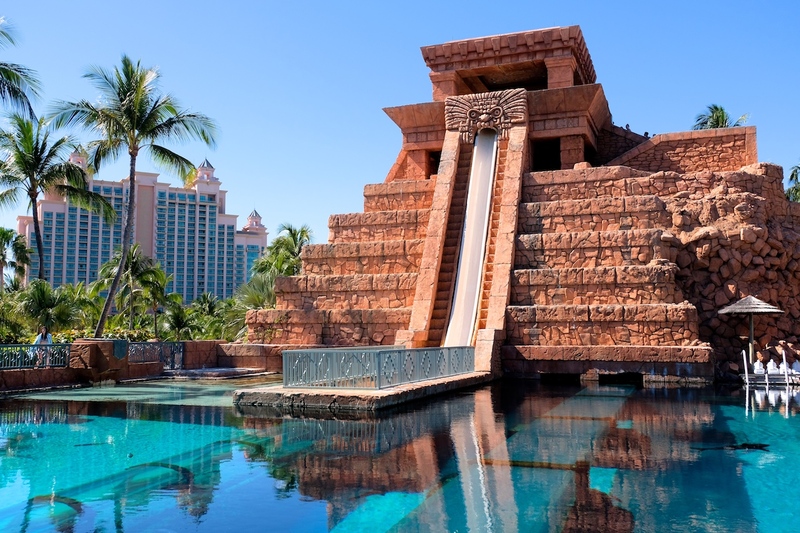 Atlantis Bahamas spans through a massive 141-acre area, with attractions covering several beaches, pools, waterslides, aquariums, tubing rivers, and so on that’ll leave your day packed with exhilarating and adrenaline-pumping activities. 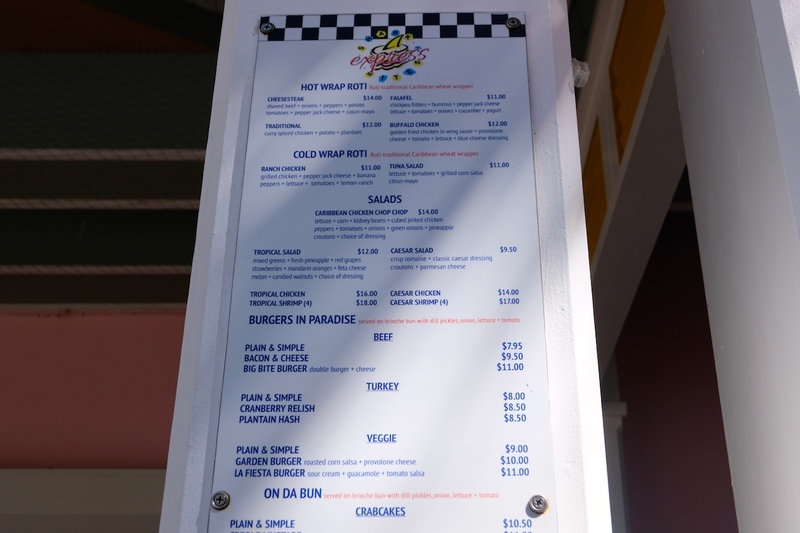 Note: Everything in the Bahamas closes at 17:00, so though we were thinking of taking a cab back instead to spend more time in Nassau, we noticed everything seemed to have been closing-up by around 16:30. 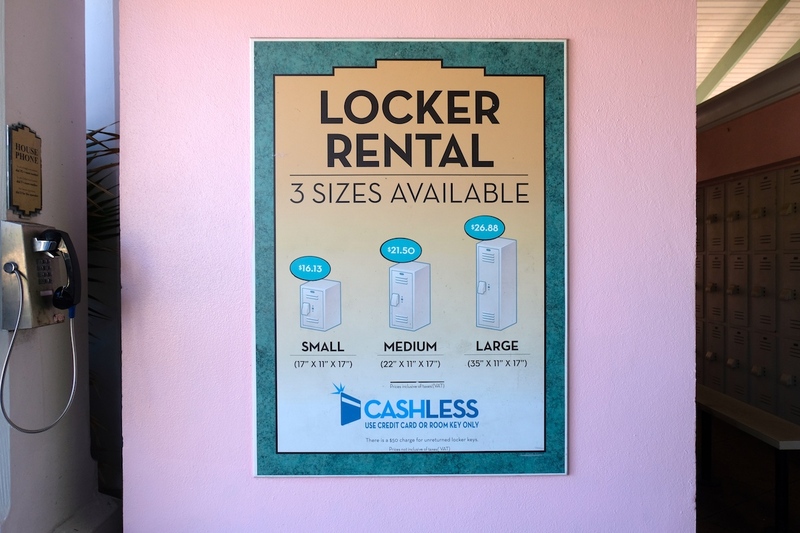 Best to bring credit cards over cash, as some of the retail and dining stalls – including the locker rental – in Atlantis only accept credit cards. Besides, it would be easier to lug around cards versus cash that could easily get wet or get lost. 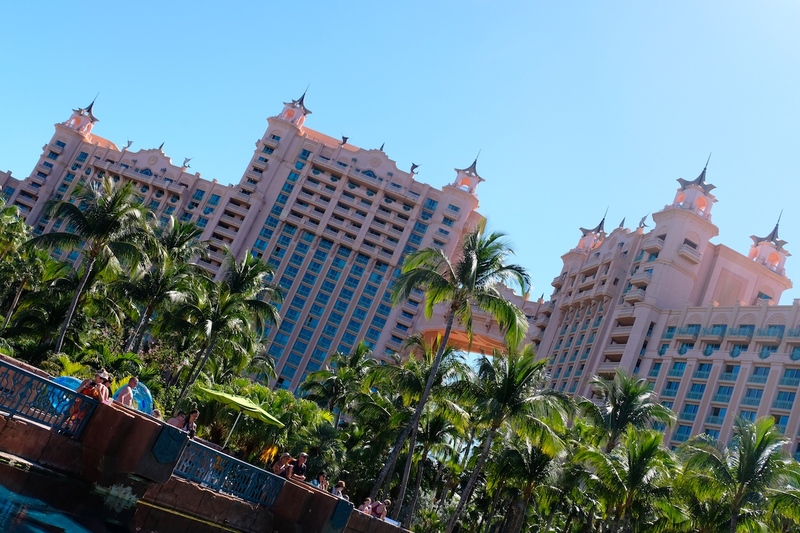 And now… onto this island paradise that is Atlantis! 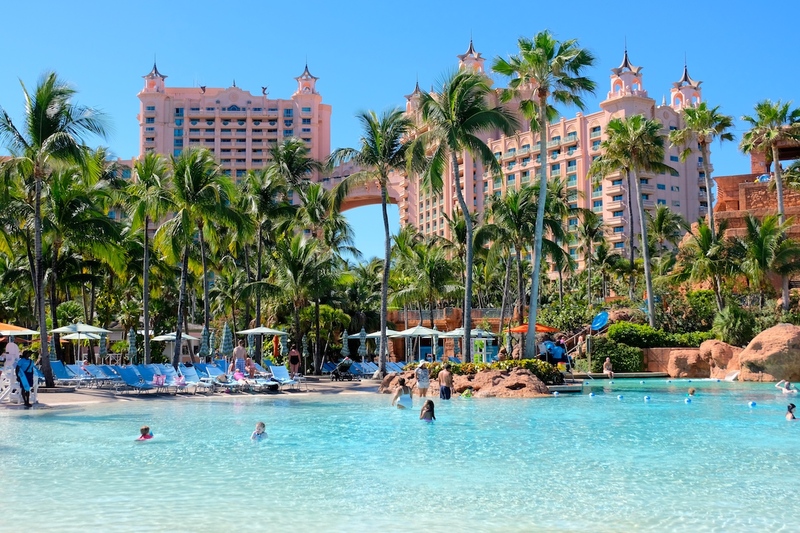 One of the places that has always been on my very long list of dream destinations is Atlantis Bahamas. 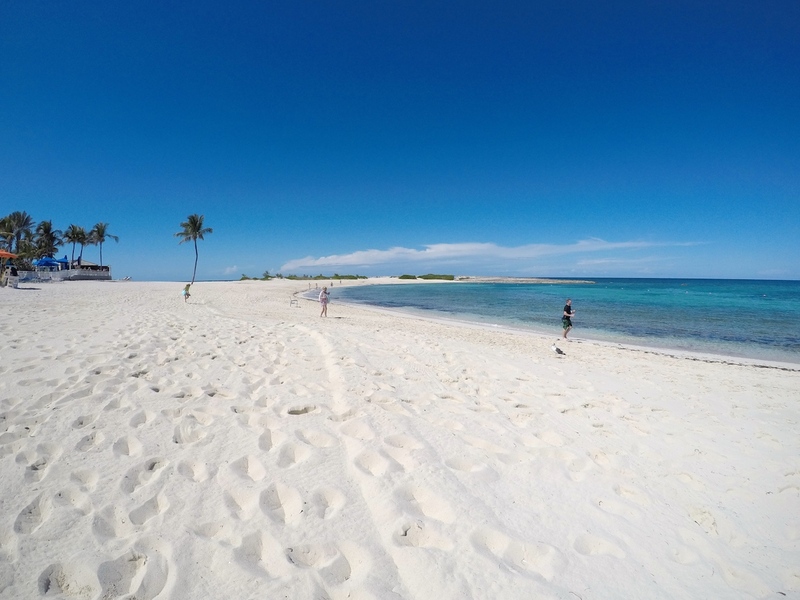 I first heard of this island paradise from one of my best friends who was there more than a decade ago. I specifically remember being the young child that I was – probably between the ages of 13 to 14 – fascinated by the stories that she told and the photos that she showed from this incredible island destination. 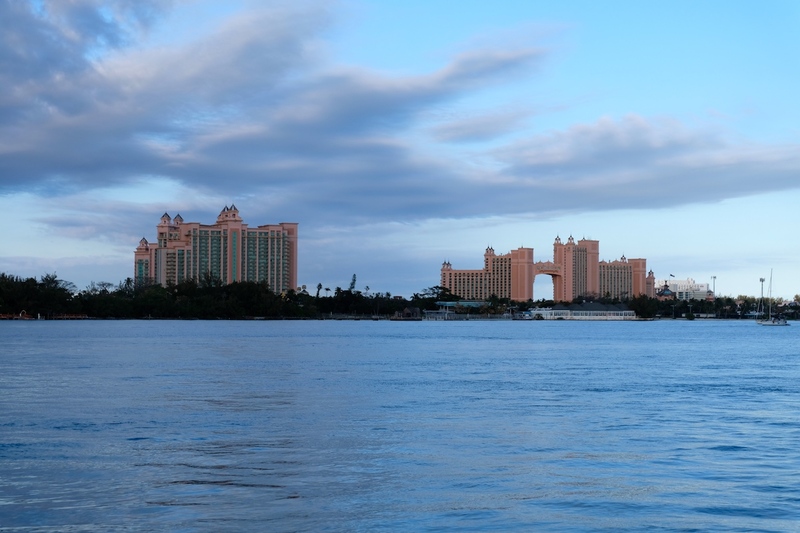 And finally, fast forward to nearly twelve years later, I found myself on this gorgeous cruise ship that was heading to Nassau, Bahamas – home to Atlantis. As our ship docked in Prince George Wharf in Nassau, we proceeded to exit the ship, as we met with the accredited Atlantis crew right at the port. 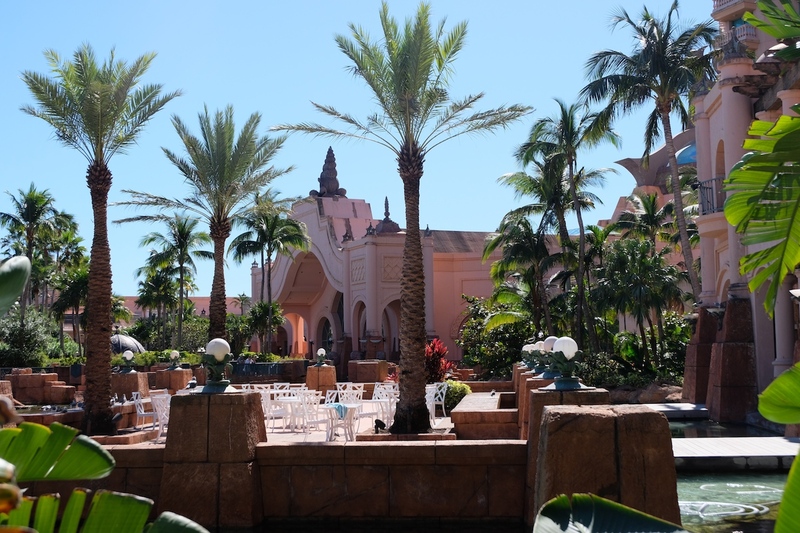 From the port, it took about a ten to fifteen-minute drive to get to Atlantis via the air-conditioned coaster, included in the tour excursion package. 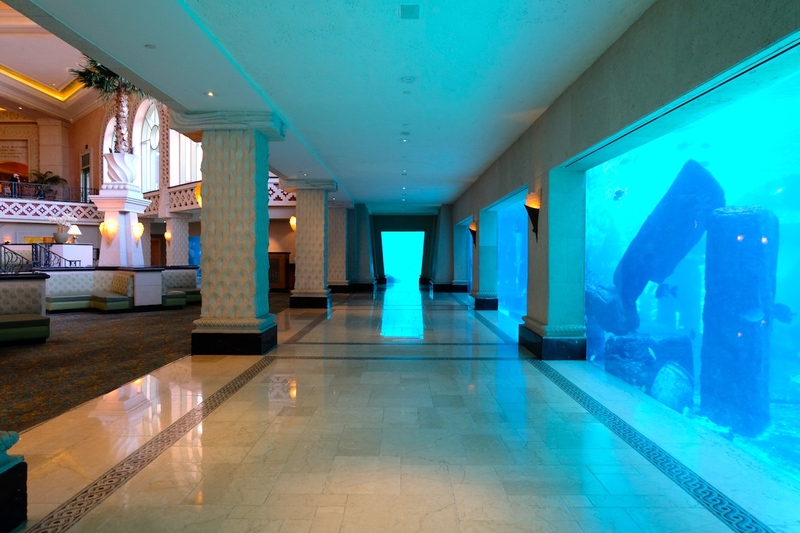 The drop-off is located at The Coral Towers, one of the hotel buildings in the resort, that is connected to the rest of Atlantis via a retail area and the casino. As we walked past these areas with a tour guide, we were escorted and introduced to some of the attractions in the resort for around ten minutes, and were then free to go as we pleased. 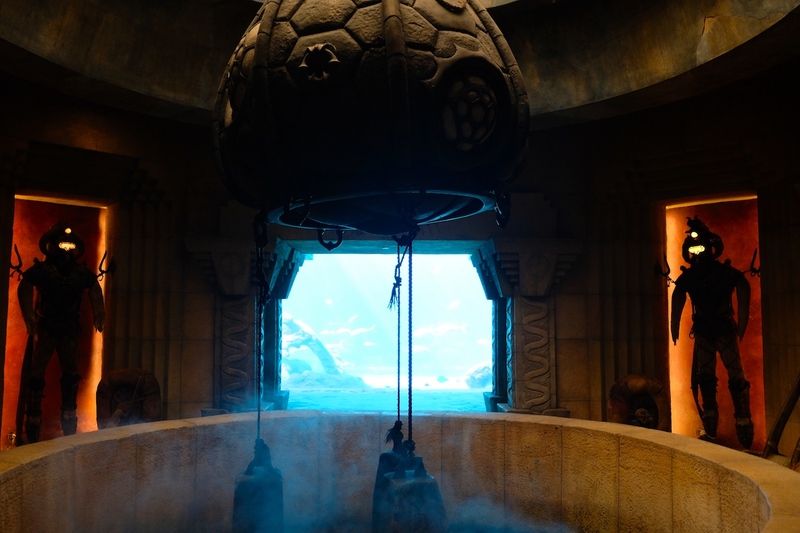 The important thing to take note of is that the last transfer back from Atlantis to the port is at 17:00. 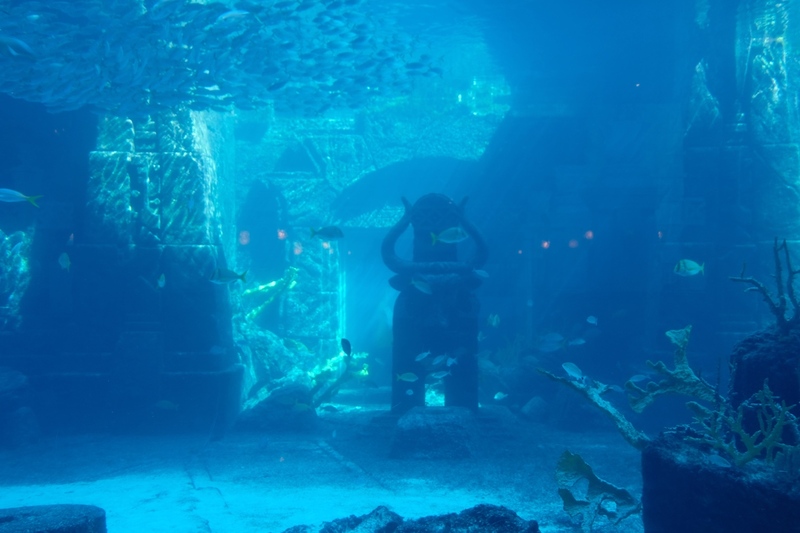 Though the transfers start at 14:00, we opted to take the last transfer to ensure we made the most out of our time in Atlantis. It was interesting to find out that there were only four of us who took the last trip back, meaning everyone else must’ve gone back to the ship earlier in the day. 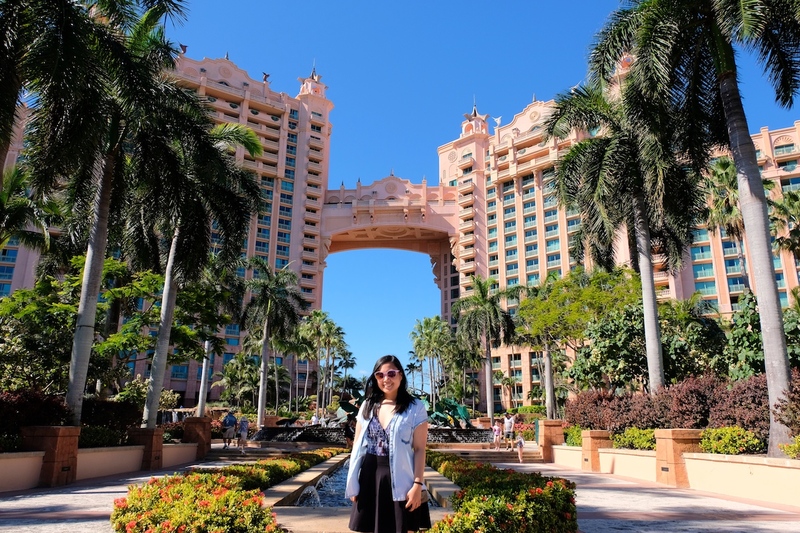 Standing tall in the midst of the 141-acre property are The Royal Towers, the main hotel and building in Atlantis Paradise Island. 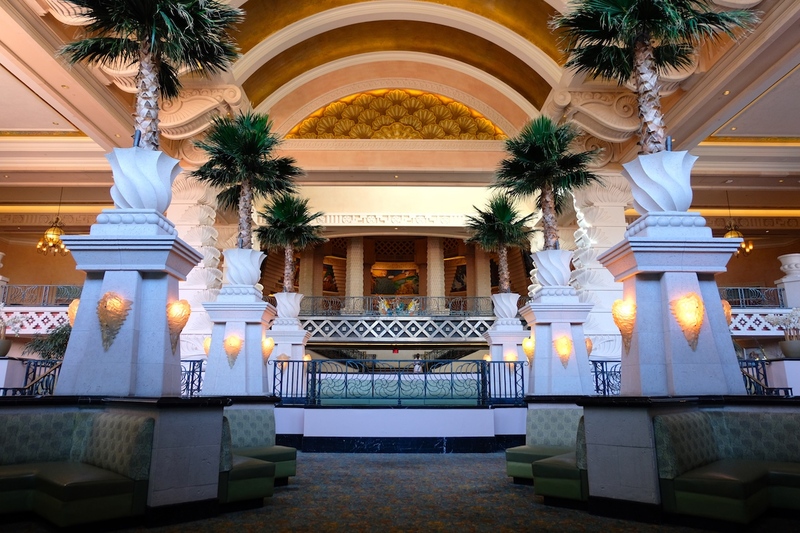 Located herein, is their grand lobby, pictured below, some retail shops, restaurants, the Dig, and a lot more attractions to see. 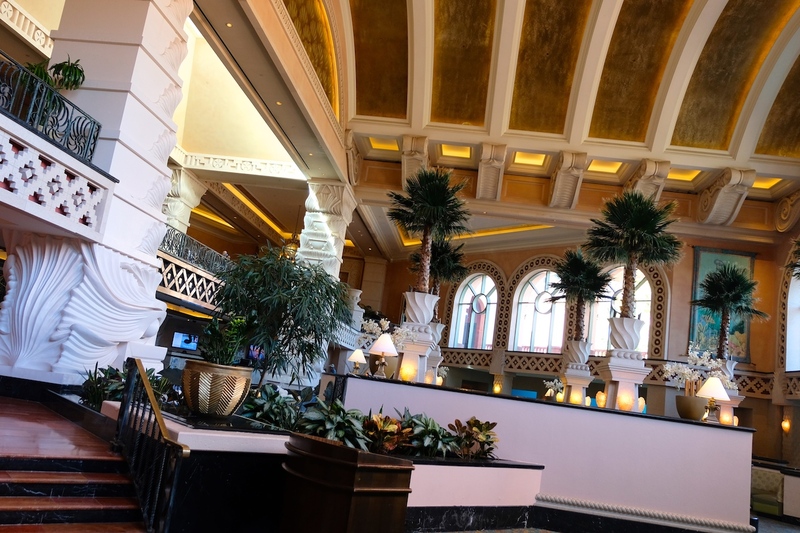 Spending time in the lobby, however, is already an attraction in itself, with its grand architecture and design that’ll surely leave you in awe. 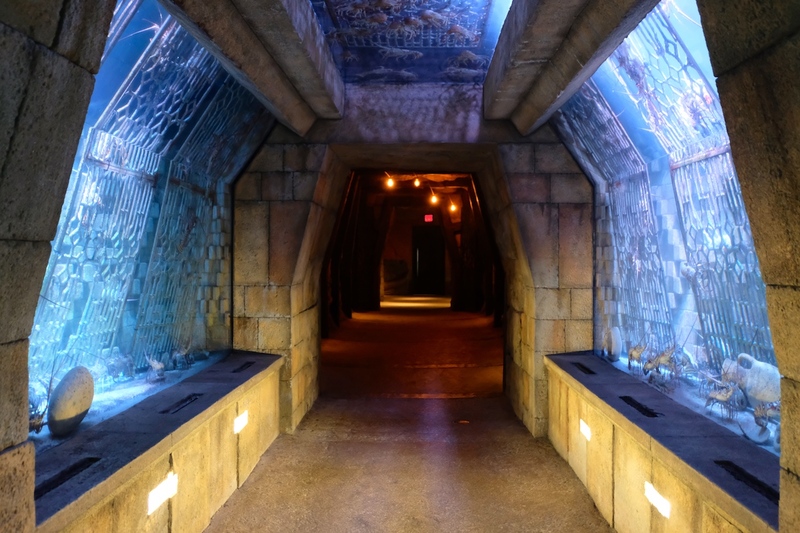 Characterizing the mythical “Lost City of Atlantis,” the Dig is home to over 50,000 marine aquatic animals that can be seen through the glass aquariums. 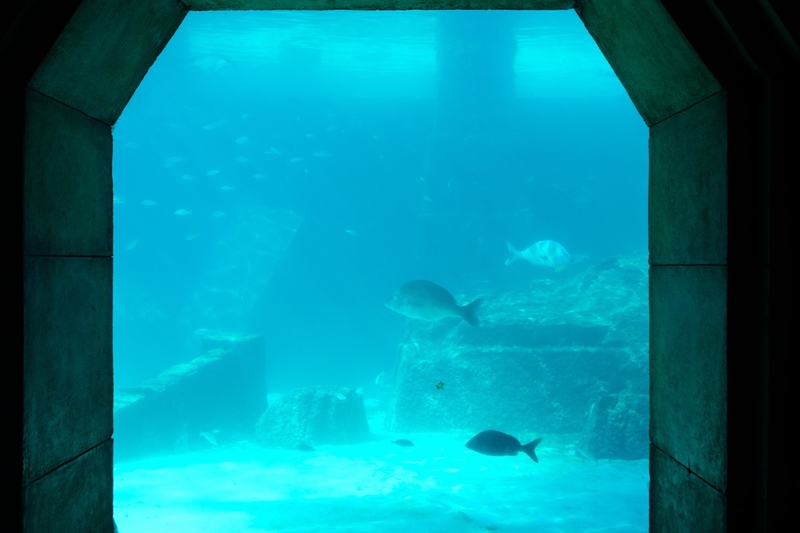 Serving as the sea life aquarium of the resort, it is not patterned after those you would see elsewhere, as the uniqueness it entails is embodied in the fact that The Dig was built in such a way that would allow guests to get a glimpse of life in the legendary city of Atlantis. 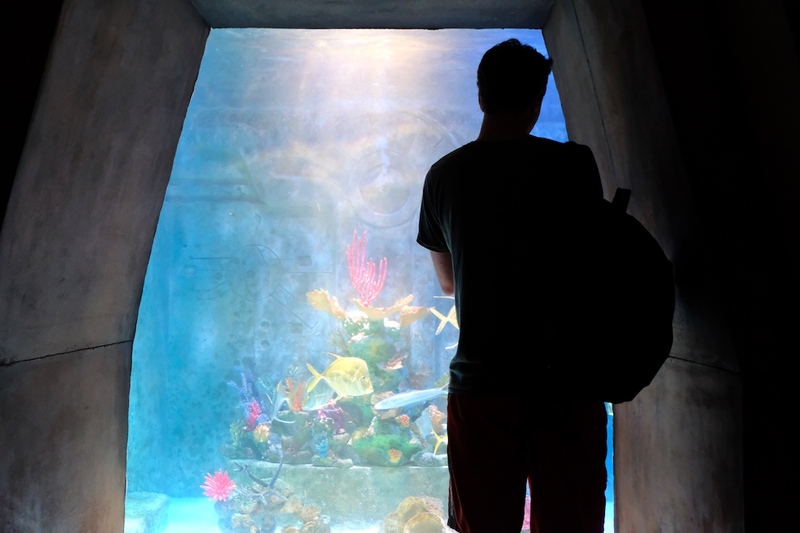 From barracudas to stringrays, sharks, and different kinds of underwater species, this 100-foot tunnel running underwater provides an unobstructed view to the marine life therein. 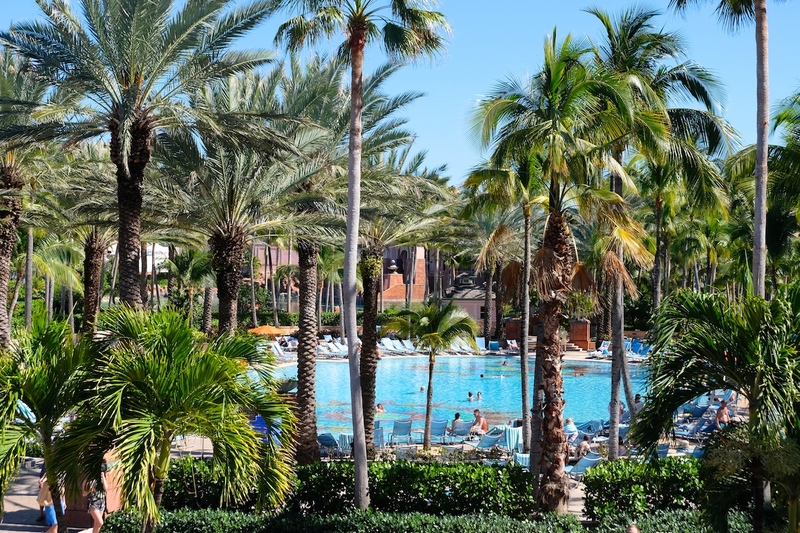 With several pools and beaches to choose from, you surely won’t run out of options for which areas to stay in while in Atlantis. 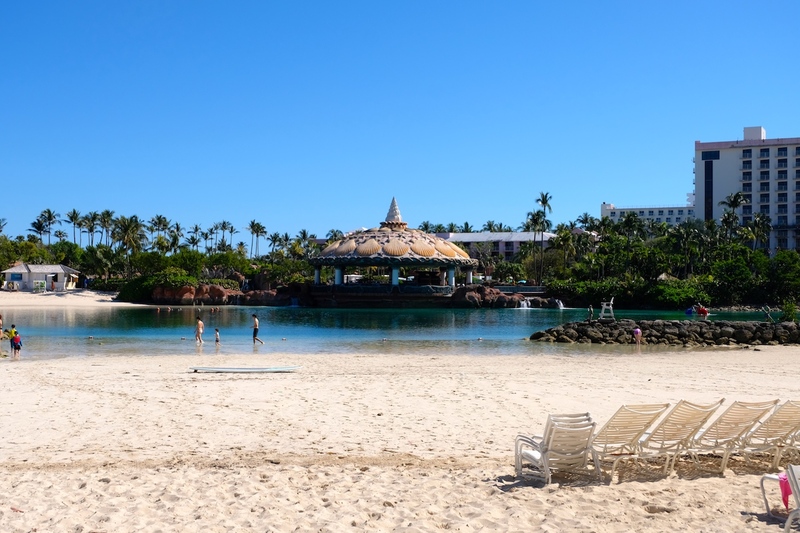 One option that we came across was the Paradise Lagoon and Beach that seemed rather unoccupied the whole time we were there. Gorgeous as it is, we opted to stay by the main pool area – but more on that later. 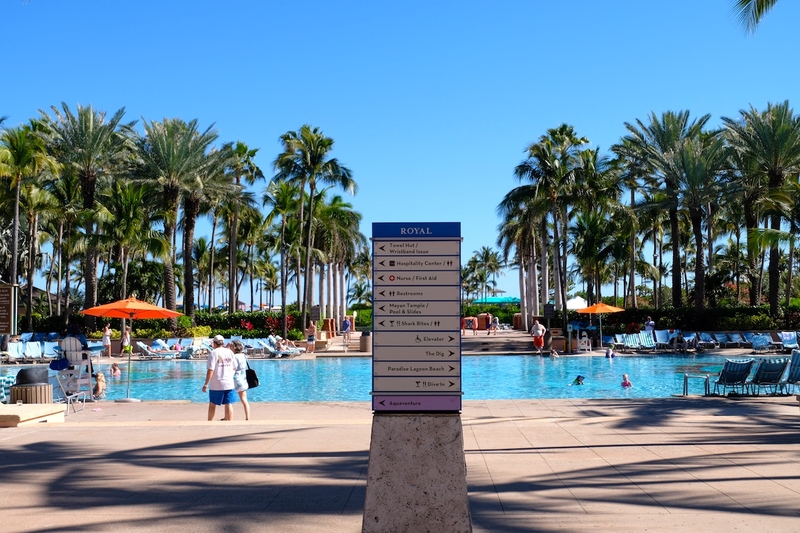 Located right in front of the famed Royal Towers is the Royal Baths Pool, pictured below. 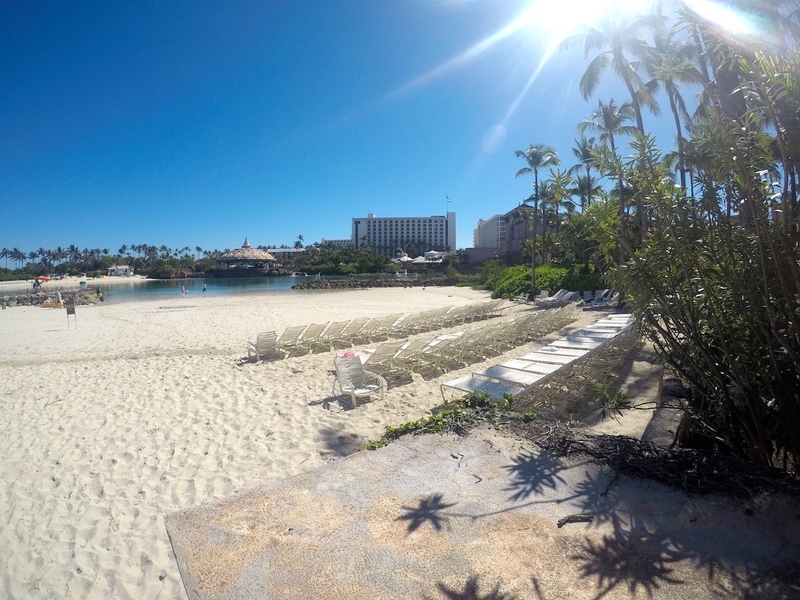 Surrounded by lush greeneries and a number of beach chairs, this is yet another option for guests to stay in while enjoying their day in Atlantis. 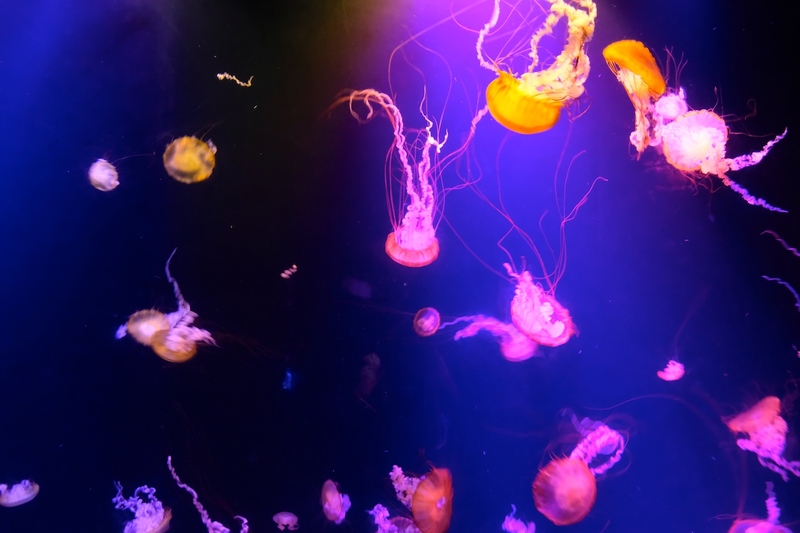 In our case, however, we went beyond this area, as we wanted to ensure that everything we wanted to do and see was within quick and easy walking distance. 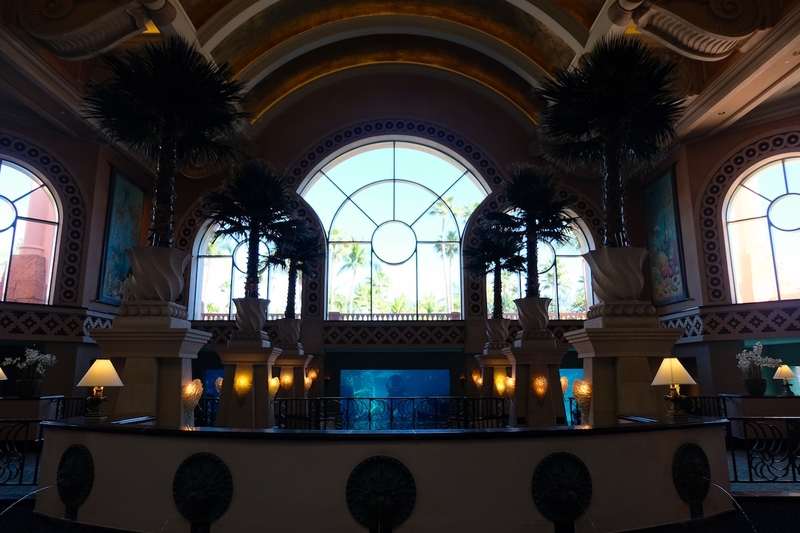 Past the Royal Baths Pool, the Royal Towers, and the Mayan Temples, and found ourselves the best area for us to stay in. To our absolute liking, we found ourselves a spot by the shade, within a few meters from the Mayan Temple. Though a bit crowded when compared to the other areas, we didn’t feel cramped in any way. 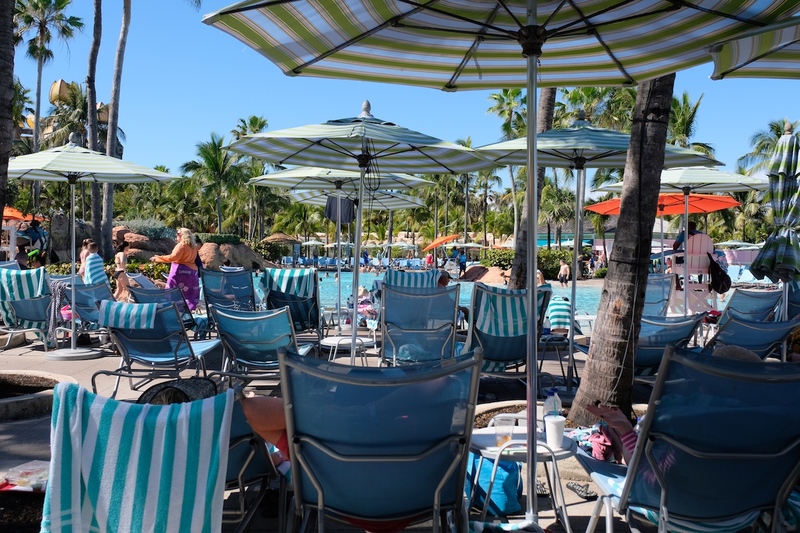 Besides, majority of the time was spent away from the beach chairs and in the pool or on the waterslides. 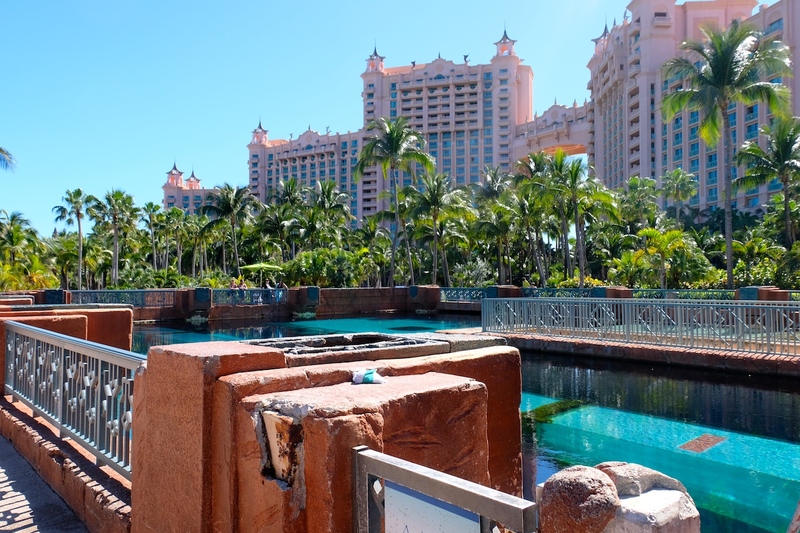 Yet another to take note of if you’re visiting Atlantis on a day trip is to set aside a budget for lockers. And why exactly would you need this? 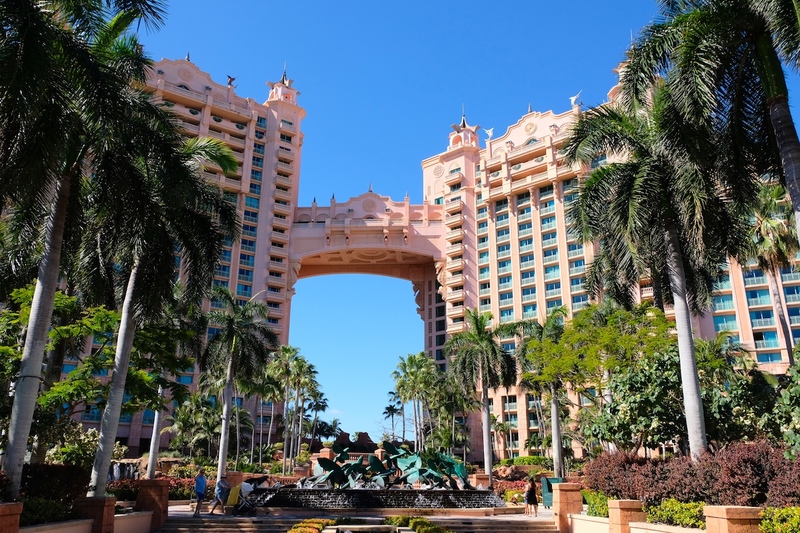 Because as aforementioned, majority of your time will be spent enjoying all the water amenities that Atlantis has to offer, so you’ll need a secure place to store your cash, cards, cameras, and other valuables. As much as possible, don’t bring too much valuables, but for the unavoidable ones, you’ll surely need a locker to keep your things safe. 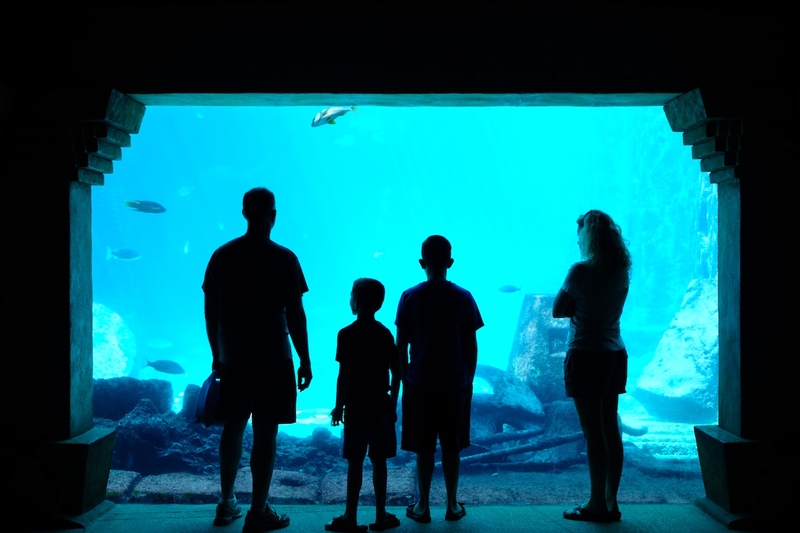 Take a deep breath before looking at the prices noted below, because they do cost quite a lot for the day – but it’s better to be safe than sorry! 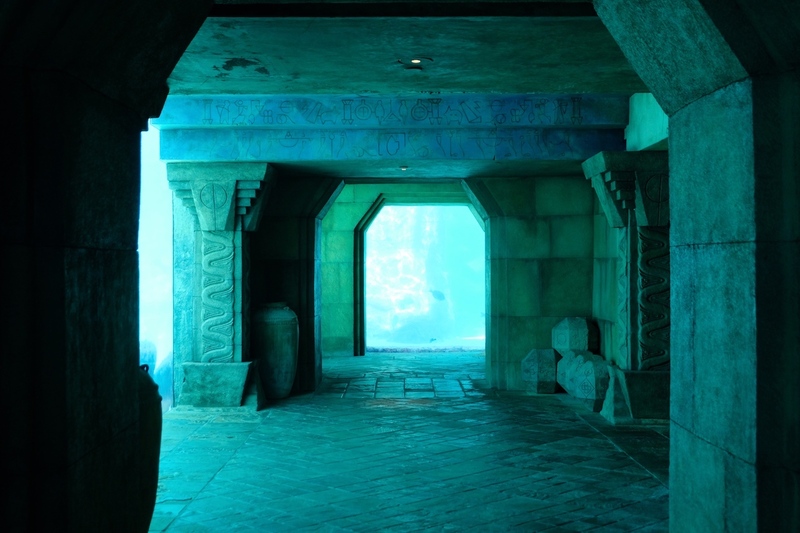 Location of the lockers we got was right by the Mayan Temple and Grotto Pools. And so, we began our Aquaventure the best way that we could and went up the Mayan Temple with no idea what we were in for. Note that there are four slide options, namely: Leap of Faith, Serpent Slide, Challenger Slides, and Jungle Slides. Since the line was much shorter during our first climb up was the Serpent Slide, and we found out that we could do it in pairs, this is what we decided to go for! Thrilling as it is, riders have to go on board one of their floaters through which you’ll be pushed into the slide, swiftly go through it all, as you exit through underwater tubes. Needless to say, I couldn’t bring my non-water resistant camera to this attraction, which explains the lack of photos. 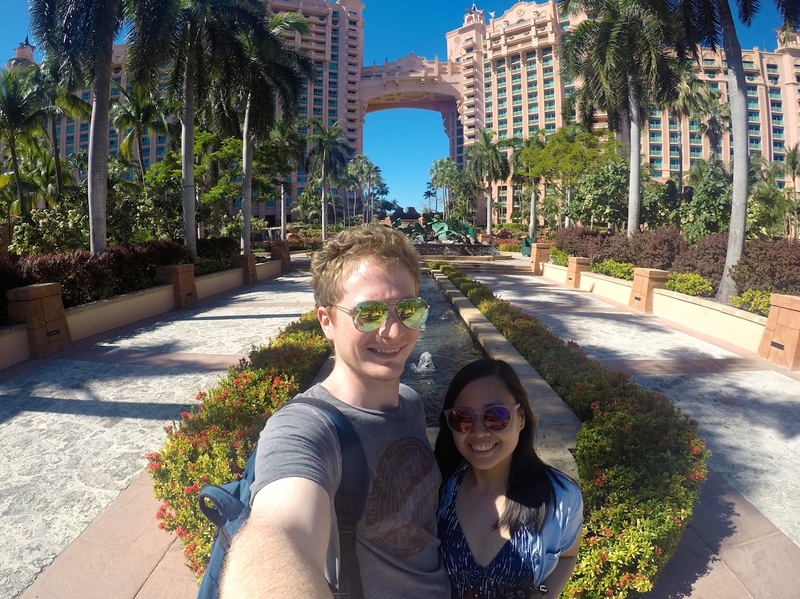 Nevertheless, fears aside: I suggest for everyone who is planning a visit to Atlantis Bahamas to give it a try! 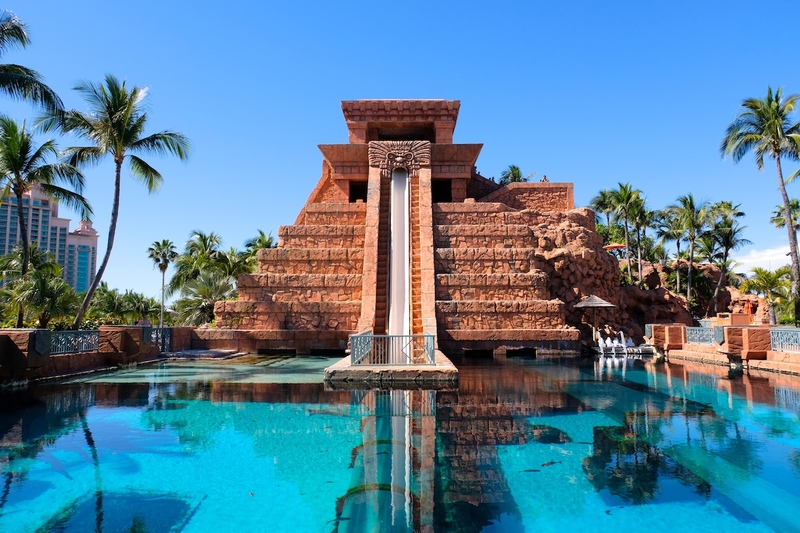 The Leap of Faith has got to be the most popular slide in the whole water park, as it it has been deemed the scariest water slide in the world, dropping riders 60 feet from the top speeding into a shark-filled lagoon – but don’t worry, you’ll in a tube that protects you from the sharks. 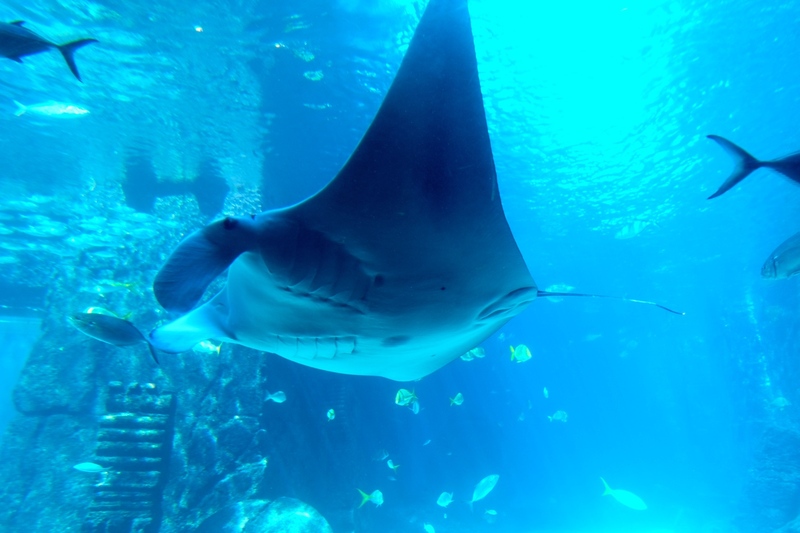 You won’t even notice the sharks as you exit the tube, given that you’ll still be focused on the adrenaline rush that’ll have you pumped-up coming from that swift drop. It can get quite scary as you enter the slide, as we saw a few people taking several minutes before deciding to go for it and even some backing out on the spot. I loved it so much though, that I did it twice; and would have done it time and time again if only we had more time. 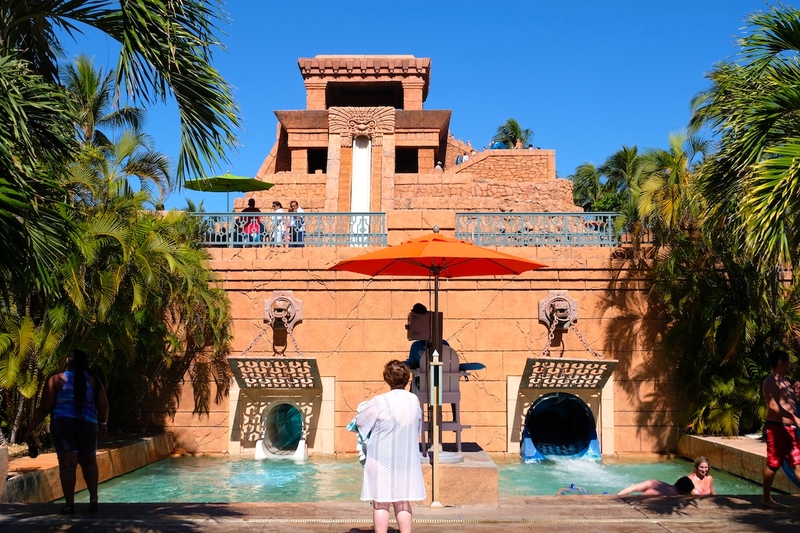 Yet another one of my favorite attractions in all of Atlantis is The Rapid River, by which you can enjoy via The Lazy River Ride and The Current. 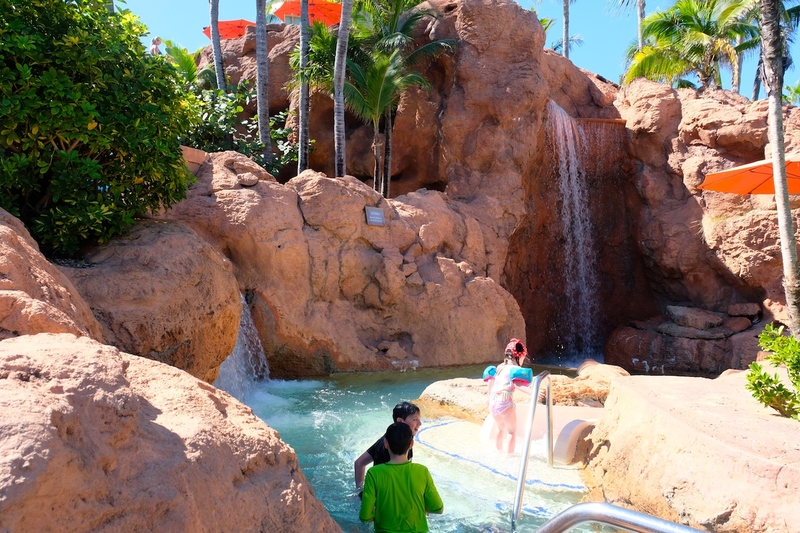 If you’re in for a relaxing pace as you enjoy the tropical landscape, then go for the Lazy River; but if you’re still high on that adrenaline-pumping Leap of Faith, go for The Current as you propel through rolling waves and extreme rapids and go up water escalators – a true water adventure! Once again, we enjoyed a tad bit too much while on The Rapid River that we were only able to get video footage via the GoPro, and only took photos after the rides (that we did twice!) leaving us with an absolutely exhilarating feeling. 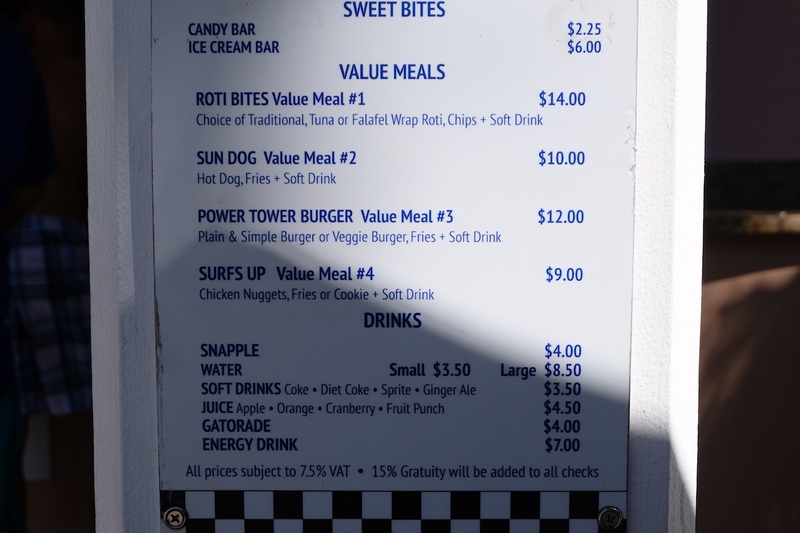 Food is not included in the tour excursion package, and though we loaded-up on breakfast on the cruise ship, we were famished by early afternoon after all the water activities we did. 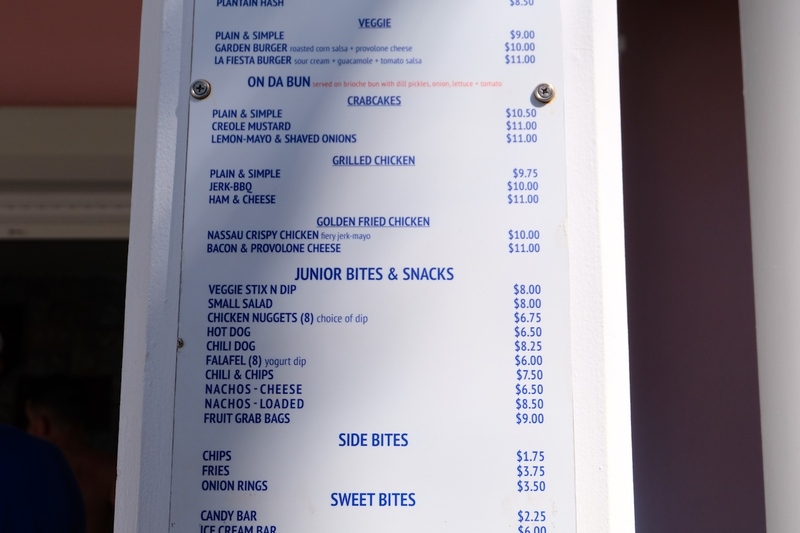 Luckily, Shark Bites Express and Bar & Grill were situated right behind the Mayan Temple Pool, giving us easy access to food and drinks. 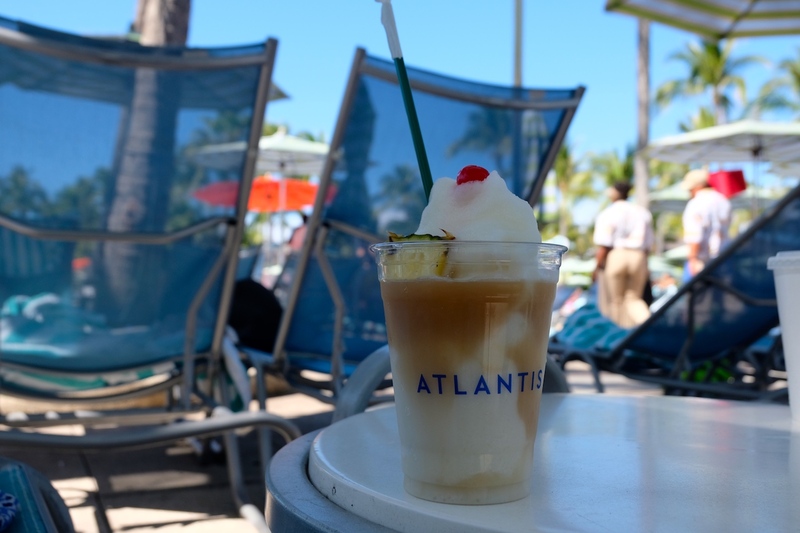 Tip: do try their Piña Coladas; this was actually my favorite drink the whole time we were in the Bahamas! 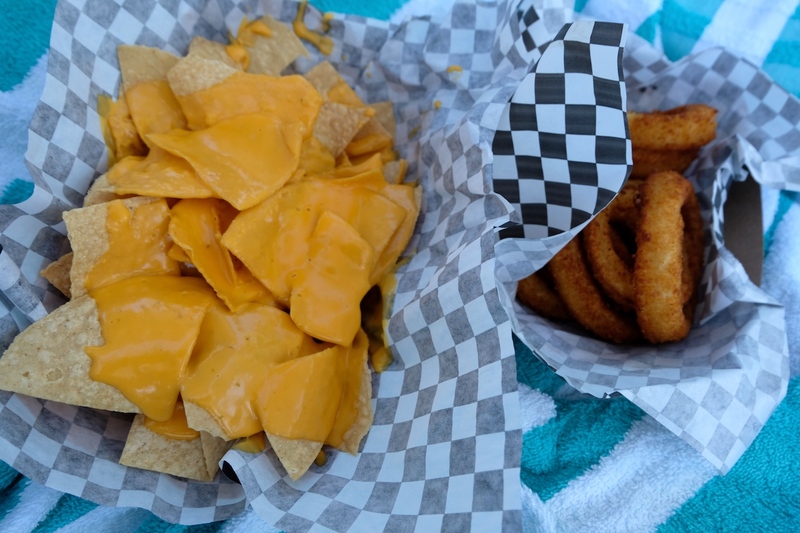 At the end of all the water activities and our quick food and drinks by-the-pool break, we decided to check out one of the nearby beaches, namely the Cove Beach. To my astonishment, it was absolutely beautiful. 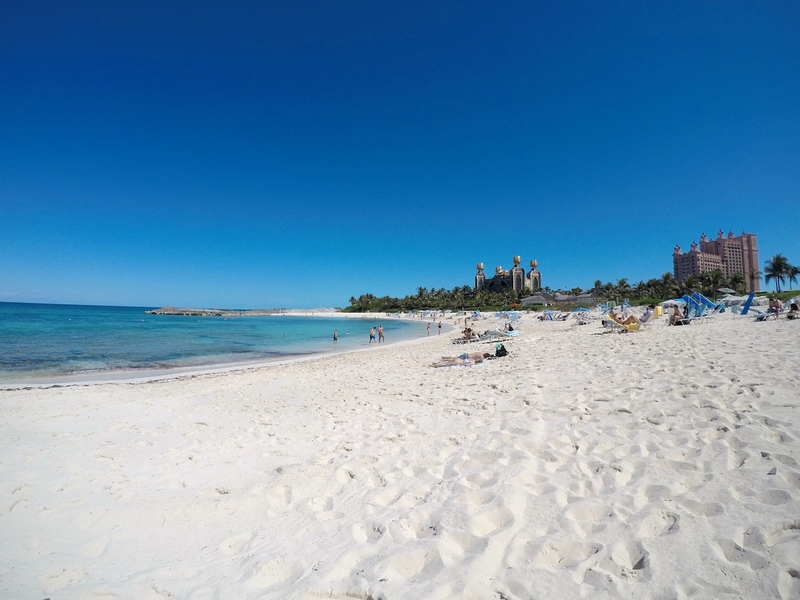 I’ve heard time and time again that the beaches in the Bahamas are overrated; but I’d have to say that after visiting three different Bahamian islands, they do have some of the best beaches in the world. Don’t believe me? I’ll let the photos do the talking; but do remember that photos never do justice as compared to how you’ll see it in person. 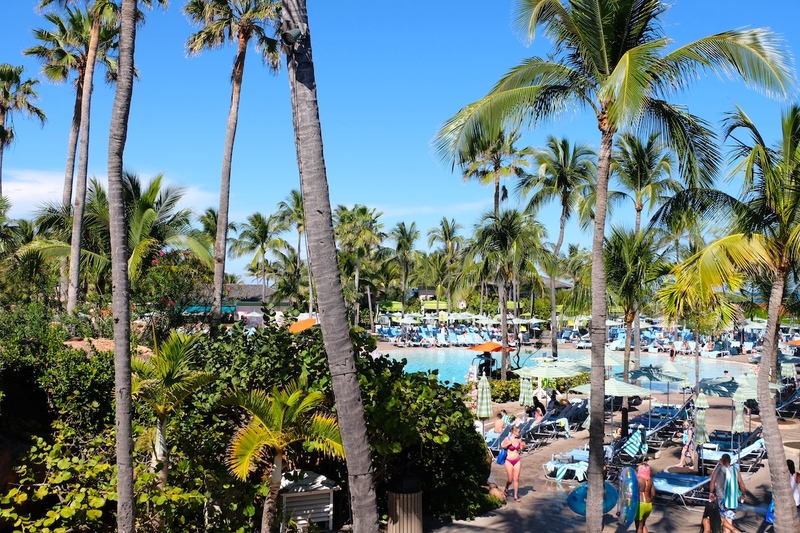 Unfortunately, after the Cove Beach, we only had a few more minutes to spare by the pool, and thereafter, we had to bid adieu to this stunning island paradise – that might remain to be my favorite for years to come. Despite anticipating this trip for over a decade, it did not disappoint and even surpassed my already high expectations! 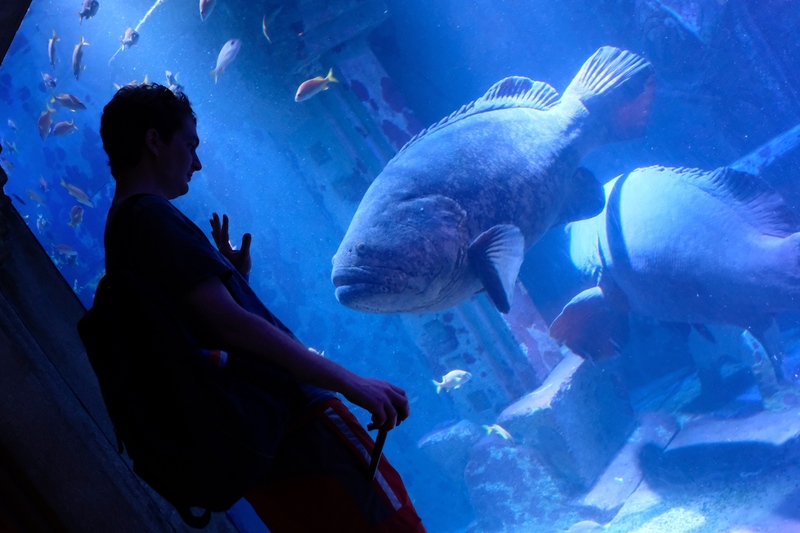 Even better – I got to spend the day in my dream destination with my best friend. 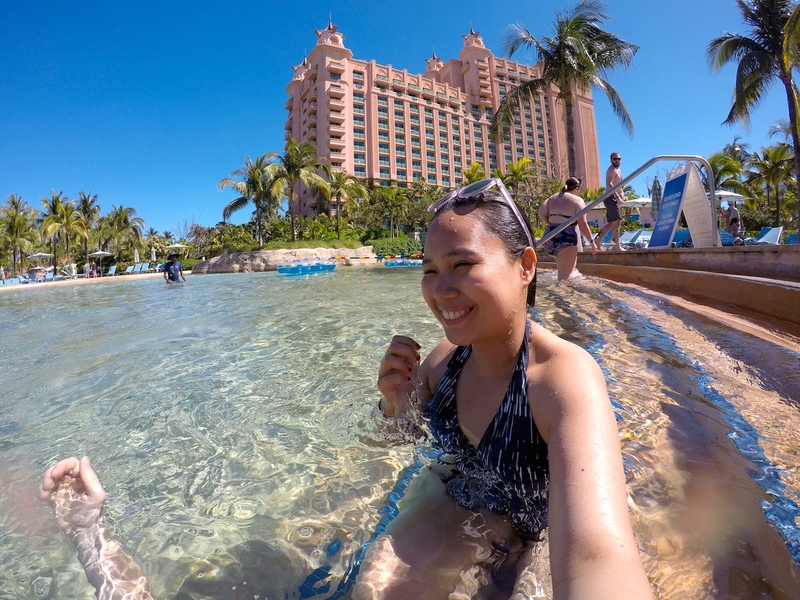 Surely, it was evident in this post, that a day in Atlantis Paradise Island, Bahamas barely scratches the surface of what this massive resort has to offer. 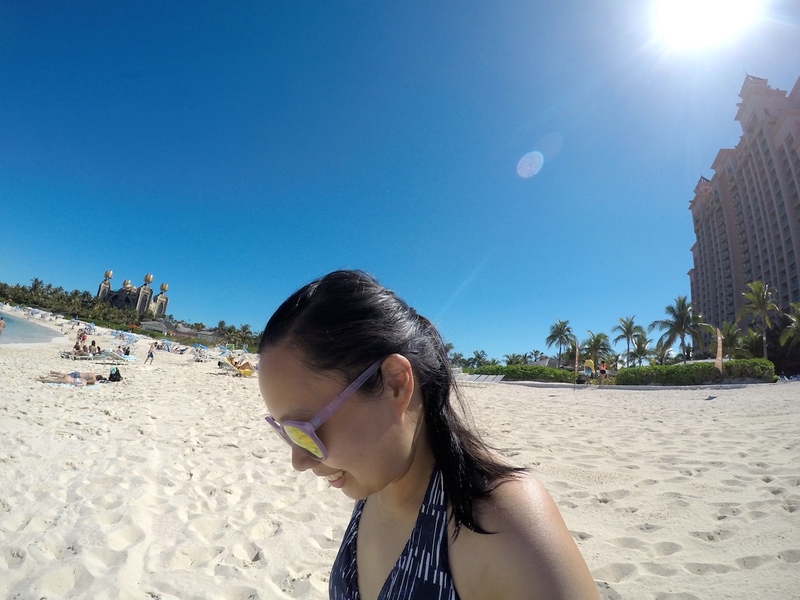 Though we were able to make the most out of our short stay, I hope to return one day to spend more time herein and ensure to experience the attractions we unfortunately missed-out on, namely the: Power Tower with several waterslides – The Drop, The Falls, The Surge, and The Abyss; the Dolphin Cay; plus several other pools, lagoons, and beaches. 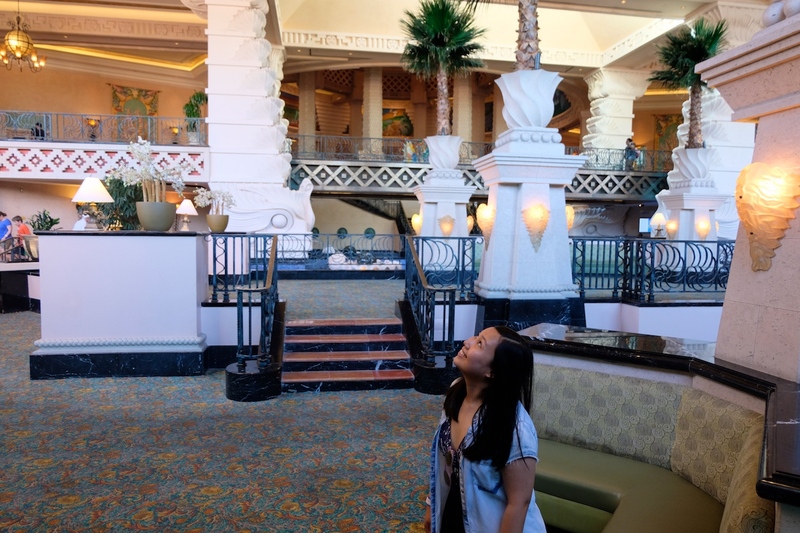 This day in the sun, however, was honestly a dream come true, and it was with a heavy heart seeing Atlantis from afar as we went on board the ship, bidding farewell to what I deem as one of the best days of my life.